Shop Equiparts today for drinking fountains, water coolers, and bottle fillers from Elkay & Oasis + repair parts/accessories from Elkay, Oasis, Central Brass, Universal and others. Equiparts is a distributor of Elkay and Oasis indoor and outdoor drinking water fountains, water coolers, and bottle fillers. It’s never been easier to find the right drinking water fountain or water cooler for your needs. Our inventory includes refrigerated water coolers, ideal for supplying chilled drinking water at any educational or healthcare facility, fitness club, office space, or hospital. 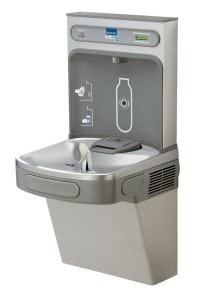 We also carry non-refrigerated drinking fountains in a variety of styles to fit any application or environment. 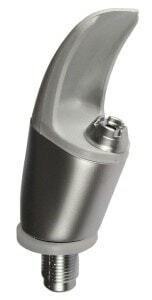 Our bottle fillers help reduce plastic waste and protect the environment. Our Elkay and Oasis water coolers include barrier-free ADA compliant units, split level coolers with bottle filling stations, freestanding and wall-mount units, and vandal-resistant drinking fountains. Additionally, we offer an extensive line of repair parts for both manufacturers including bubblers, push pads, cartridges, solenoids, filters, valves, hoses, spouts, handles, and much more. Visit our Drinking Fountain website to easily compare units, buy repair parts online, order filter replacements, and read our helpful blog articles that share troubleshooting information and more useful resources.